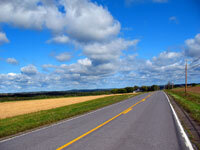 Aroostook, Maine's largest and northernmost county, offers travelers air, bus and bike modes of transportation. Explore the region's rolling countryside, vast farmland and historic communities using multi-modal transportation. Here, the Aroostook Regional Transportation system carries passengers to towns and villages, many of which are rich in Acadian heritage and culture. Caribou Municipal airport supports flying activities conducted by private and business interests. The airport is designated as an Airport of Entry (AOE) by the US Customs Service due to its proximity to the Canadian border. Permission to land from the US Customs Service is not necessary, but one hour advance notice is required. Imagine the perfect community: big enough to have everything you need including nationally recognized schools, a first class performing arts center, a modern acute care hospital, a full service community library, but small enough that you meet your friends on the street day after day. You have all of that and more in Caribou, Maine! If you are looking for the heart of snowmobile country, you've found it in Northern Aroostook County. With long winters, plenty of snow and more than 2,000 miles of groomed trails, it is truly a winter wonderland. Serving Northern Maine, the Northern Maine Regional Airport offers regularly scheduled passenger service to and from Boston. It is an important link for travelers in Aroostook county to the air transportation system. Here, several touring loops direct cyclists through wide open spaces and rolling countryside, historic communities and the county's deep-rooted Acadian history. 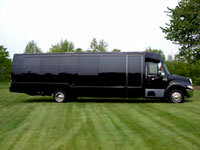 Provides daily service between Bangor and Limestone (Penobscot to Aroostook Counties). 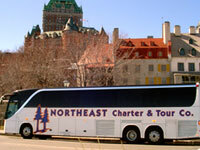 Connecting service from Boston and Portland via Concord Coach Lines and Greyhound Lines. 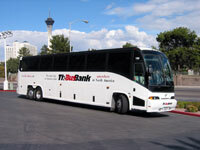 Cyr Bus Tours offers upscale retail and package tours and charters. Aroostook county's scenic byways, offers visitors glimpses into quaint country towns & villages, nestled amongst rolling hills and vast, rich farm lands.